John Wesley built the chapel when he started preaching outdoors to the poor of Bristol. It can be seen today just as it was in the 18th Century. This chapel is perhaps the most important historic building in Methodism. John Wesley began preaching in the open air to the poor in Bristol in 1739. They came in their thousands to hear 'the glad tidings of salvation'. Those who responded met in a number of places in the city, but very soon larger accommodation was needed, and the 'New Room' was built. 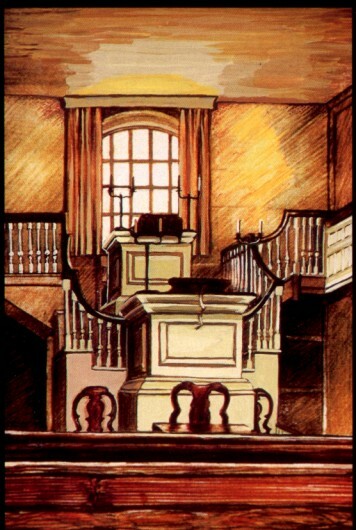 The New Room was Methodism's first building. Here Wesley preached to the new society, conducted worship, organised the free distribution of medicines, and ran a school for the children of poor families. 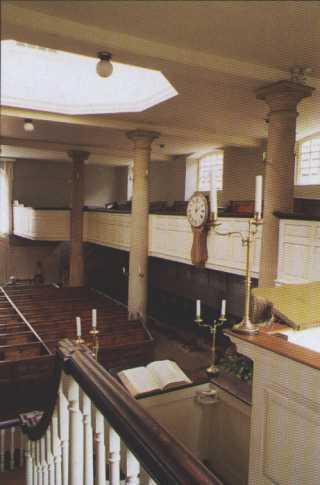 Equipped with rooms for preachers upstairs, it was one of Wesley's main centres for the 'spread of scriptural holiness throughout the land'. It was the place where Francis Asbury and others volunteered to work in the American colonies. Today the New Room is a place of prayer, worship, pilgrimage, and a centre for mission and service. It provides the Methodist people with a unique opportunity of sharing with thousands of visitors something of the faith of John Wesley - a precious reminder of where we've come from, to help us go forward into the 21st century. This historic chapel amazingly survived intact the intense bombing of Bristol in the war. If it is to survive for future generations, it will need continual care and hard work. The most urgent job is to completely re-roof the building and carry out major repairs to the external woodwork. The whole New Room urgently needs complete internal redecoration. The New Room is home to an important collection of books, manuscripts and household objects related to both John and Charles Wesley. They are appealing for �110,000 to carry out emergency repairs. Cheques payable to John Wesley's Chapel, Bristol.